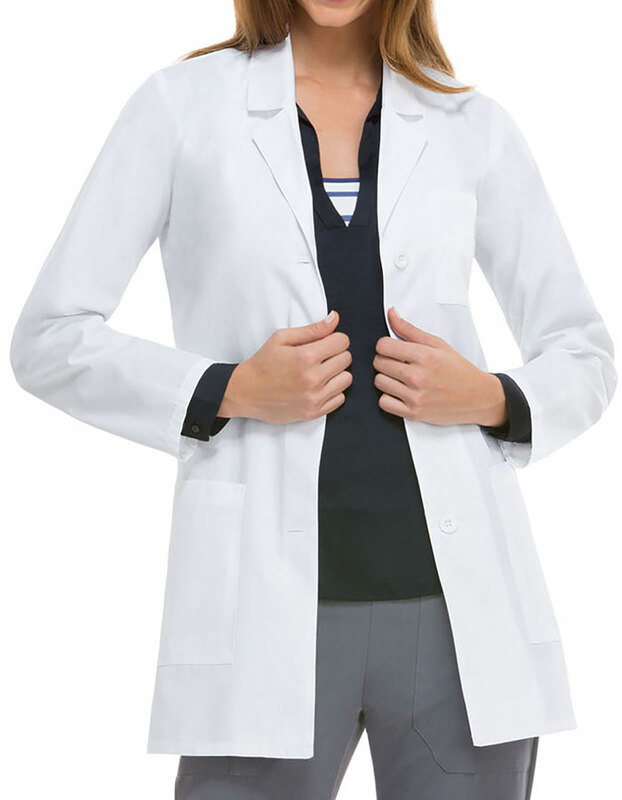 Experience quality and style with this 32" button front Lab coat for Women possesses “Antimicrobial w/ Fluid Barrier” quality by Dickies' EDS collection. 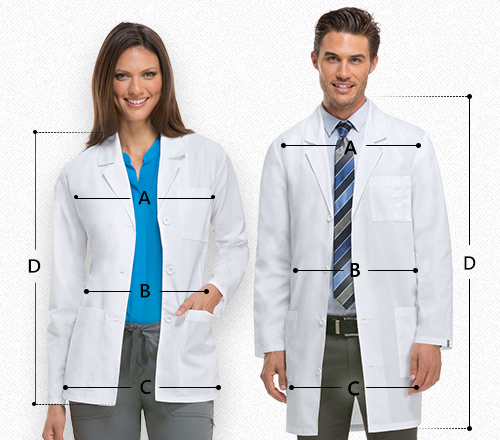 It features a notched collar, a chest pocket and two patch pockets (left pocket has a pen and instrument slot). 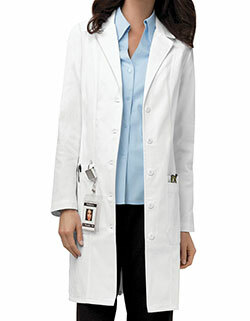 Back princess seams and a back belt with adjustable buttons create a slender look.